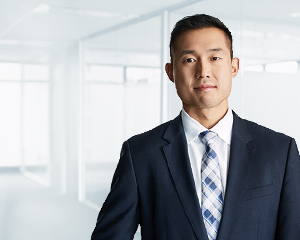 As a Wealth Adviser, George Wong assists in providing tailored investment portfolio advice to Dixon Advisory clients. George was previously Insurance Adviser for the strategic financial advice team, providing personal insurance advice to clients in the Sydney, Canberra and Melbourne offices. He is able to draw on his industry knowledge to help clients identify strategic financial advice needs in areas such as retirement planning, wealth accumulation, superannuation and personal tax effective strategies. George has a Bachelor of Commerce with Honours in Econometrics from the University of Sydney, a Diploma of Financial Planning from Kaplan and is accredited by the Stockbrokers Association of Australia to provide advice on securities and managed investments. He is also currently completing the Certified Financial Planner® (CFP) Certification Program from the Financial Planning Association of Australia.